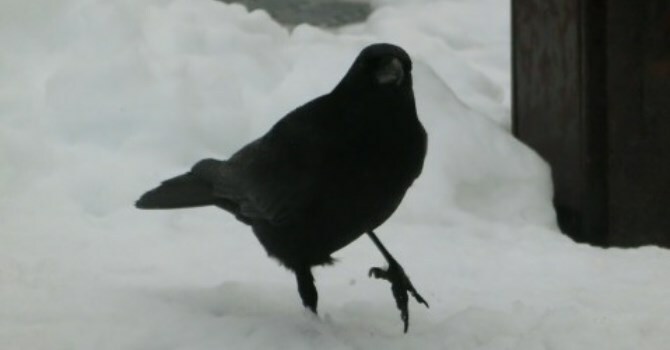 There is a Japanese children’s song called “Nanatsu no Ko” (meaning either seven children or seven-year-old child), which goes like this: Crow, why do you caw? – Because the crow has sweet nanatsu no ko in the mountain.” Any Japanese person knows the lyrics, but nanatsu no ko actually does not make sense: A baby crow can’t be seven years old, and crows don’t raise seven children at once. Asked why it caws, the crow answers that it is out of its feelings for its children. Does this nonsense answer mean that the crow has fulfilled accountability? On the other hand, around 1980, Ken Shimura, member of the comedy group The Drifters, responded with a parody that goes: “Crow, why do you caw? Mind your own business, says the crow”. It became instantly popular at the time. Shimura’s theory is very useful as a clear and understandable way to explain the relationship between accountability and responsibility for an outcome. If a noisily cawing crow fulfills its accountability by expressing its feeling towards its children, you may no longer feel like shooing it off with a stone; if the crow strikes back by holding full responsibility for the outcome, saying that it’s none of your business; you will have no hesitation in chasing it away. When an action or remark is made, the actor should be responsible for the outcome at all times. This is a universal principle. However, since it is impossible to fully predict the outcome of the action in advance, it is also assumed that in some situations, it is not fair if the actor is held entirely responsible. Therefore, in real human society, when the validity of an act can be proved reasonably, typically by the absence of malice or negligence, a system that exempts the responsibility for the outcome is widely put into place. Accountability is an obligation to explain the rationality and justification of an act, and the actor is responsible for the outcome when it can not fulfill this obligation. However, both in corporate management and in politics, there are times when it is necessary to decide what to do amid a reasonably unpredictable situation, where there is no reasonable basis to justify the act. This is what it means to make a decision. Decision, by definition, goes beyond reasonable grounds. In corporate management and politics, the work of a leader is to make decisions in this sense. Conclusions based on rationality and probability known from experience are made on site, but it does not rise to the leadership. It is clear from the definition of accountability that it is impossible to completely fulfill accountability for a decision. It is none of anyone’s business but the crow’s.